Rescuers soon extracted the two wounded firefighters, who were immediately transported by helicopter to General Military Hospital 424 in Thessaloniki. The monk was found dead. PRAVMIR. September 8, 2014 . 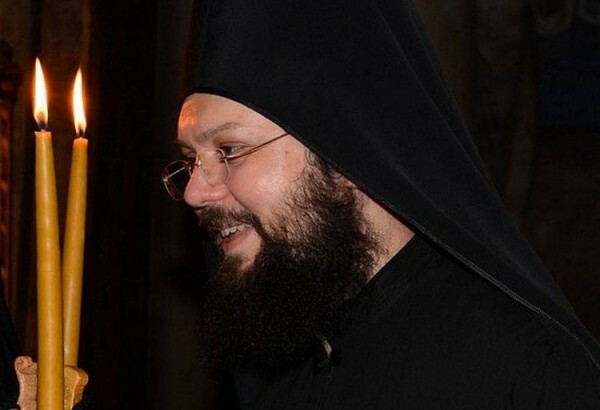 On Mount Athos, Monk Athanasius of Hilandar Monastery fell into a precipice while hurrying to aid firefighters that had gotten into a car crash. The tragedy occurred at about 8 AM, when a fire truck with two firefighters took the road on Mount Athos to complete their ordinary daily duties, Russian Athos related. During their patrol, because of an unsettled road, their car got stuck in the difficult mountainous terrain near a chapel of the Hilandar Monastery, resulting in the two firefighters being seriously injured. Learning of the incident, one of the Athonite monks from the Serbian monastery of Hilandar rushed to the scene by car to help the victims but, coming just 100 meters from the scene, he plunged into the precipice after the car skidded on shaky ground. Rescuers soon extracted the two wounded firefighters, who were immediately transported by helicopter to General Military Hospital 424in Thessaloniki. The monk was found dead. He turned out to be the youngest monk of Hilandar: Monk Athanasius.